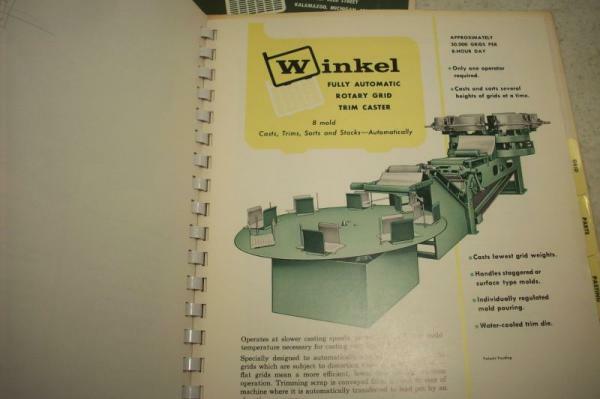 The Kalamazoo Manufacturing Company bought the Winkel Machine Co in 1959. They are often described as being a battery manufacturing equipment but their catalog items are more than that. Peter Hawk was Vice President of this company. 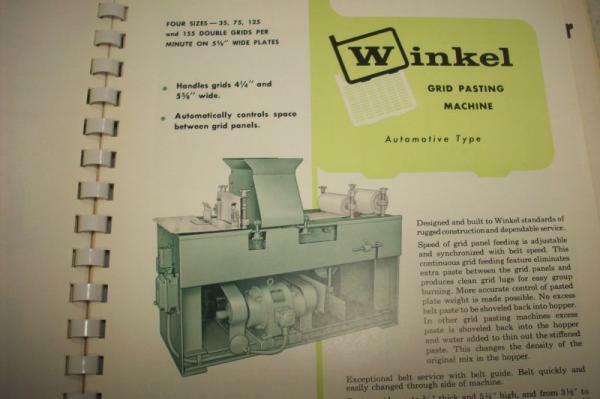 To see the 16 patents issued to this company go to www.freepatentsonline.com and search for "Winkel Machine". 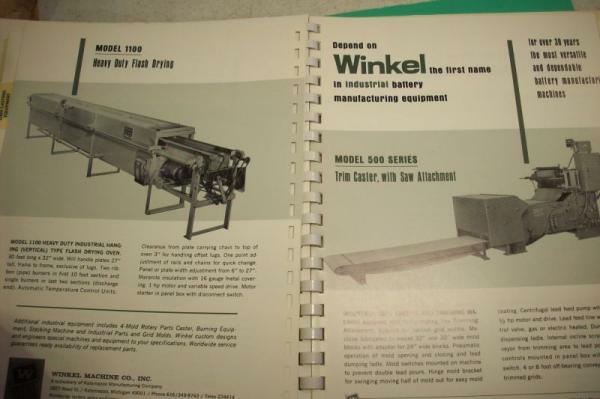 Upon closure the product line was sold to the Farmer Mold and Machine Works Company.